The Hintonburg school community and support organizations are urging the City of Ottawa to keep one of its two emergency family shelters open. The Hintonburg school community and support organizations are urging the City of Ottawa to keep one of its two emergency family shelters open after an announcement it would be closing in mere weeks. The city said the Forward Family Shelter in Hintonburg is slated to close by Dec. 15 due to structural issues with its foundation contributing to a $2.3-million backlog of repairs. There are 14 families currently housed at the shelter and the city is in the process of finding them temporary and permanent arrangements. The issue was personal for parents at Connaught Public School, where eight children from the shelter attend class. 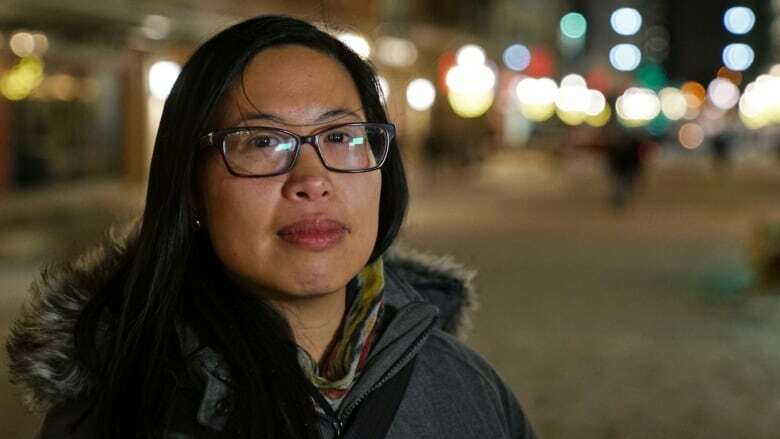 "We know the faces of three of these families, so it's not just a numbers problem — it's a human problem," said Sophia Wong, the chair of the parent council at the school. Wong wrote an open letter to Mayor Jim Watson, Kitchissippi Coun. Jeff Leiper and the city's head of housing services. It said they are saddened and disappointed at the sudden closure. "Everything is uncertain, where will they be going? Do they have everything they need? They haven't had the time to plan. They don't know what school their children will be attending. They'll have to make new friends," Wong said. She said closing the emergency family shelter — one of two in the city — on such short notice shows the city isn't doing enough to address housing needs. "The closure of the shelter just shows that there isn't a plan to address affordable housing at the emergency level or at the longer-term level," Wong said. "It's the cruel irony of it all that people are being displaced and all these luxury units are being built." The letter from the school coincides with similar public statements from the Parkdale Food Centre and the Somerset West Community Health Centre (SWCHC). Both social agencies are asking the city to defer closing the shelter to avoid them having to relocate twice in mere months and allow children to finish their school year. Both letters note that the closure will also disrupt other integration services that are crucial for families in vulnerable situations. Coun. Jeff Leiper said he is advocating alongside Coun. Catherine McKenney for the families to be put in affordable units on a permanent basis. He said he has no explanation for how city staff decided to make such a major change to the emergency shelter supply in the city — which could put more people in motels. "It's very sudden notice for the families. It's very sudden notice for me as the ward councillor," Leiper said. "At this point, I don't have any definitive answer as to why a decision like this wasn't made with council involvement." There are approximately 10,500 families waiting for subsidized housing in Ottawa. The city is working to find appropriate temporary and permanent solutions for families and individuals affected by the closure, according to a statement provided by the mayor's office.